From the time I was little and well into my teens, my Papa would drive to the Niagara Region every Autumn to buy bushels of concord grapes so that he could make his yearly supply of of sweet red wine. Â Sometimes I would help out with the press, but mostly I was just eager to steal some concord grapes for myself, that incredible sweet-tart burst of flavour a treat that came with my favourite season. Â In the following months, the demijohns would bubble away in the basement, filling the whole room with the smell of wine. 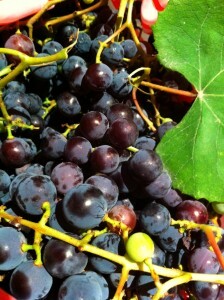 As an adult, I’ve often bought concord grapes at the market and been instantly transported back to those times. Â As I’ve become more of a pie-maker, I’ve often wondered whether or not they’d work out in a pie, and how you would go about it. Â This Autumn, my family and I discovered a secret patch of concords here in the city, seemingly untended, and we picked a bag full of them and brought them home. Â Faced with such abundance, I searched out several recipes and gave it a whirl, and the results were terrific. 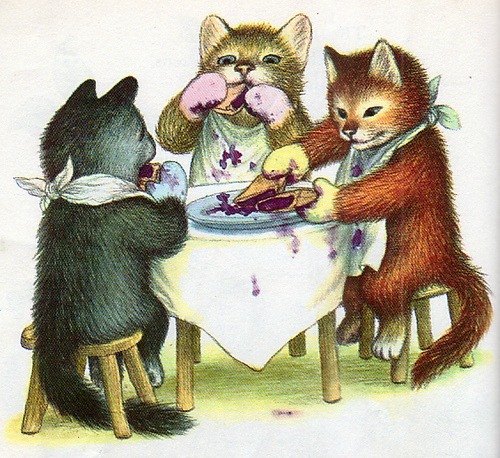 In fact, the first time I made this pie, I only got one small slice – by morning, the rest of the pie had disappeared, wolfed up by my sisters, who referred to it as ‘kittens who lost their mittens’ pie (anyone who had the Three Little Kittens Golden Book will recognize the picture to the right). I recently bought a food mill, having done a big batch of home-canned apple butter, and it came in pretty handy with this recipe. Â So I guess this is another of those kitchen gadgets I grudgingly approve of. Having tried it out a couple of times, I’m going to recommend that you wait for the pie to cool – all that delicious grapey flavour really comes out when the pie is room teperature, not piping hot. 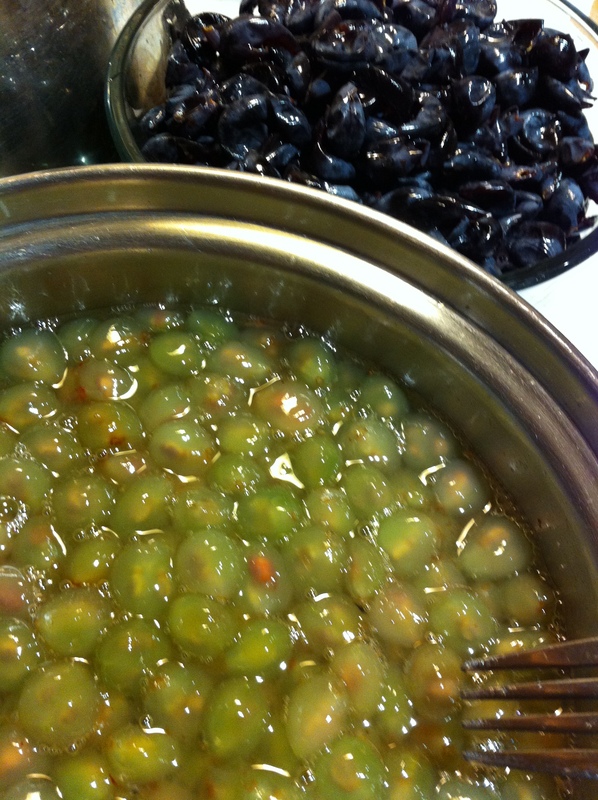 Wash grapes, and remove skins, reserving skins in aÂ separateÂ bowl. Place grape pulp in a saucepan; mash it slightly. Â Cook over medium heat until grapes come to a full boil. Remove pulp from heat, and using a food mill,Â separateÂ pulp from seeds. Combine pulp, skins, sugar, flour, and lemon juice. Pour filling into pie crust. 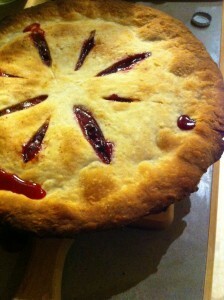 Â Cover pie with crust (or you could do a lattice to show off the eventual beautiful purple of the filling). Bake at 400 degrees, or until crust is golden and the pie filling begins to bubble up through the crust.